I’m often asked what kind of yoga I teach. The answer is usually “whatever inspires me – a bit of everything!” However, the following class type definitions might help you decide which class you’d most like to attend. Some of these are ‘pop-up’ classes which don’t run regularly so it’s best to check our timetable to see what’s running currently. 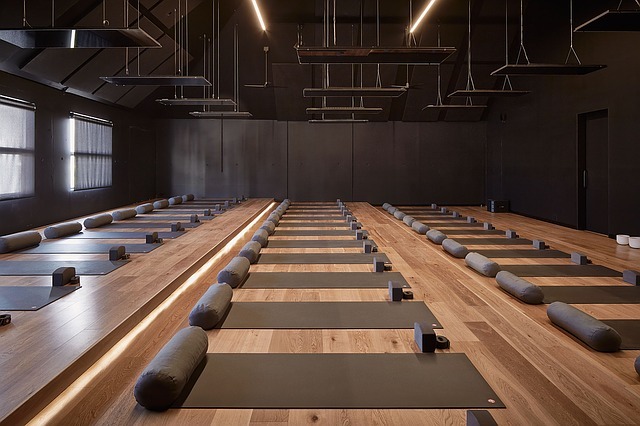 The best of all worlds, this is our fitness-focused, mixed ability class inspired by the hatha, vinyasa and yin yoga styles. Lots of options are given throughout the class to suit beginner to experienced yogis alike. The class has a bit of everything so whether your goal is to improve your strength and flexibility or use fitness-focused movement to gain mental focus, this is the class for you. Pregnancy isn’t the best time to start a strenuous exercise routine but if you’ve attended yoga classes before, we may be able to modify the poses in this class to suit pregnancy. Please contact us before booking your space so we can make sure this class is suitable for you. This class is suitable for postnatal ladies who have been signed off by their doctor/midwife (normally 6 weeks postpartum for a natural birth and 12 weeks for a caesarean). This is our relaxation-focused class. Inspired by yin and restorative yoga styles, it’s suitable for everyone. This class also features a long Yoga Nidra (yogic sleep), which is the ultimate in yoga relaxation. Prepare to feel relaxed and restored! Don’t forget to bring a blanket and a pillow for this class. A hybrid class – high intensity interval training with yoga poses! This class is inspired by Sadie Nardini’s Yoga Shred method which is based on the vinyasa style of yoga. It’s fitness focused and designed to bring out your fierce side – raaaaa! Due to the strenuous nature of this class, it isn’t suitable for pregnancy. This class can be made suitable for postnatal ladies who have been signed off by their doctor/midwife (normally 6 weeks postpartum for a natural birth and 12 weeks for a caesarean). Please contact us before booking your space so we can make sure this class is suitable for you. These classes are normally run in courses and some contain a therapeutic hypnotherapy relaxation. In the past we’ve run Yoga for Beginners (not therapeutic), Yoga for Stress, Yoga for Anxiety and Yoga for Confidence. We announce these courses on our Facebook page and through our mailing list. If you would like to join our mailing list, click here. We’re also able to offer a range of personalised therapeutic yoga and hypno-psychotherapy sessions as well as non-therapeutic private yoga tuition. If you’d like more information about our classes and private sessions, get in touch.